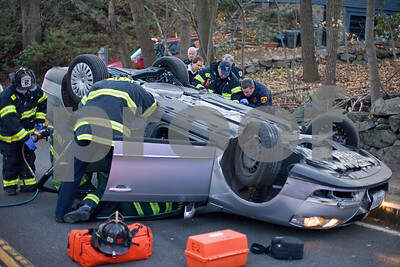 Nov.23,2008 - Group 1 Engine 2, Ladder 1, Rescue 1 and C-3 along with Armstrong ALS P-4 responded to a single-car MVA with an overturned vehicle on Clifton St during the late afternoon hours. 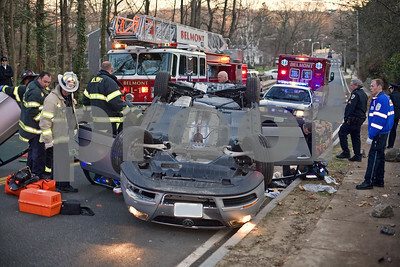 The driver was suspended upside down for a time before being extricated and transported for treatment. 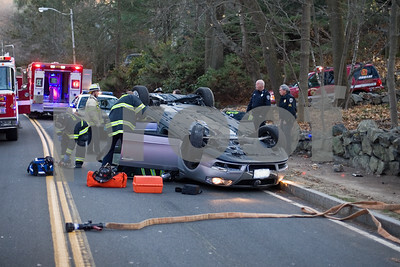 The vehicle stabilized, hydraulic rescue tool is brought up to the vehicle. Command/C-3 (Capt DeMarco) surveys the scene. Hydraulic rescue tool still in use. 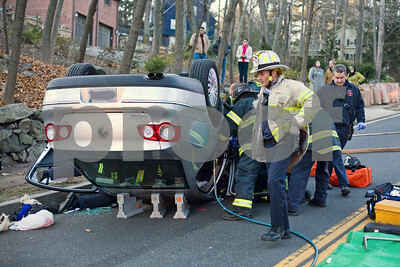 Shows vehicle stabilization to the rear of the vehicle. Overall scene. 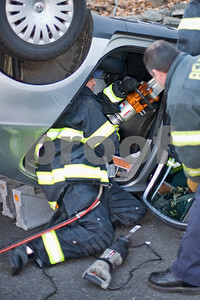 Rear drivers door removed with hydraulic rescue sheers for additional access to the patient.